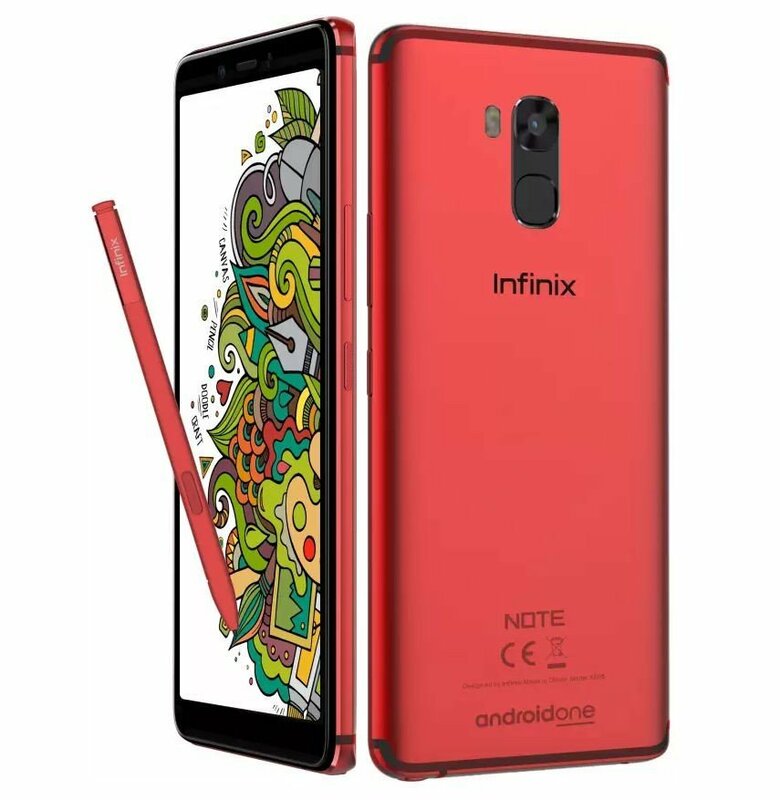 The latest Infinix Note 5 comes with a 5.99-inch (2160×1080 pixels) FHD+ 18:9 IPS 2.5D curved glass display. 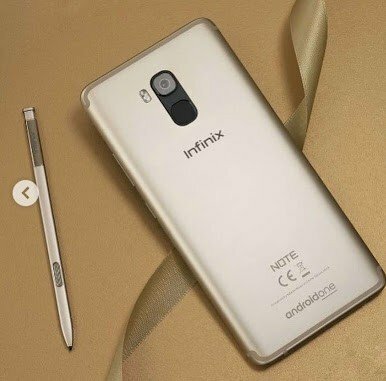 As for the CPU, the Infinix Note 5 Stylus runs on a 2.5GHz Octa-Core MediaTek Helio P23 16nm processor with 800MHz ARM Mali G71 MP2 GPU. The internals of the device includes a 4GB RAM with 64GB internal storage, expandable up to 128GB via microSD. 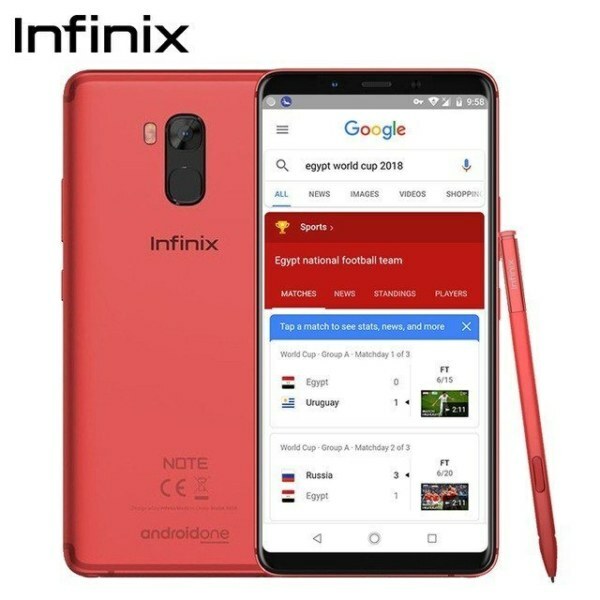 As for the camera department, the Infinix Note 5 Stylus has a single 16MP rear camera with Dual LED flash, 1.25μm pixel size and f/2.0 aperture. Upfront, the Note 5 Stylus has a 16-megapixel front-facing camera with f/2.0 aperture. What’s more? 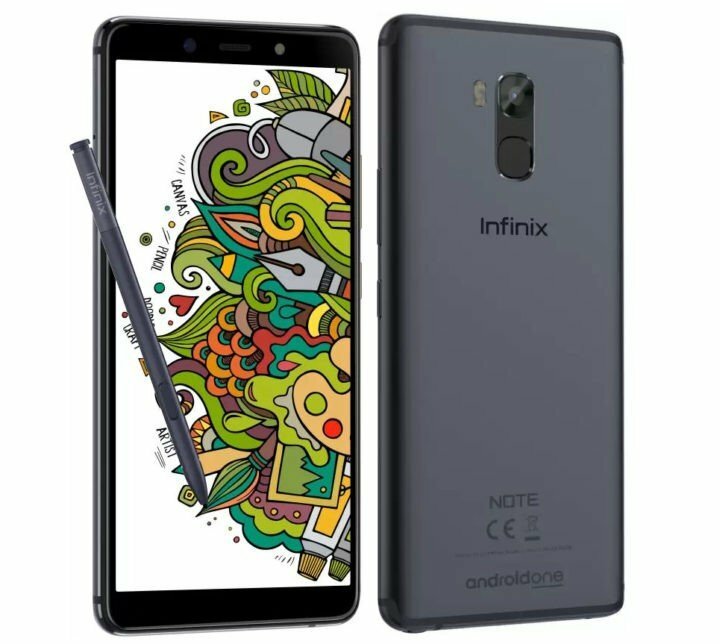 The Infinix Note 5 Stylus has a rear Fingerprint scanner, dual Nano-SIMs and support for dual 4G VoLTE network modem. Just like the Infinix Note 5, the Note 5 Stylus is Google AndroidOne certified. It runs on Android 8.1 (Oreo), and fuelled by a 4500mAh battery, and support fast charging as well.